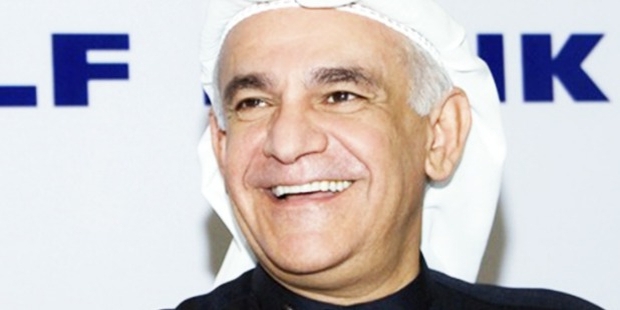 64-year-old Bassam Alghanim is a Kuwaiti billionaire and brilliant businessman. According to Forbes, he is the 1712th richest billionaire in the world and the 4th richest man in Kuwait. His major source of wealth is diversified. Bassam along with his brother had inherited Alghanim Industries from their father, which is what made these enterprising brothers billionaires. Not too much is known about Bassam’s childhood years. However we do know that he was born in Kuwait. Bassam completed his graduation from the University of California, Berkley. He has a degree in Bachelor of Arts/Science. After completing his education from the University of California, Berkley Bassam took over and managed the family business set up by his father from the 1970’s to the 1990’s. After completion of his education, Bassam joined the family business, Alghanim Industries. Alghanim Industries was set up and founded by his father Yusuf. The company grew to become a multi-national conglomerate and currently has operations in over 40 countries globally. Alghanim Industries has partnered with famous international brands like General Motors, Hitachi, British Airways, Whirlpool and many more. During the term that Bassam ran the company, he incorporated a decentralized decision-making process as well as westernized the management style of the organization. Both brothers however eventually had a battle over the division of the assets and currently Bassam no longer is involved in Alghanim Industries. Bassam in recent years has even sued his brother Kutayba and nephew Omar for allegedly having hacked into his email. After completing his education, Bassam went on to run and handle the family business set up by his father, Alghanim Industries. Alghanim Industries has grown a multinational conglomerate over the years and has partnered with numerous famous brands like Hitachi, British Airways, General Motors and Xerox. Bassam ran the company for almost two decades and incorporated a westernized management style in the organization as well as decentralized the decision-making process in the company. Currently Bassam has no involvement in Alghanim Industries and he has even sued his brother and nephew for allegedly hacking into his email. Not too much is known about Bassam’s personal life. However we do know that he is married. It is unclear whether Bassam has any children from his marriage. Though born in Kuwait, Bassam currently resides in Los Angeles, California. Bassam however continues to hold a Kuwaiti citizenship. Bassam is currently 64 years old and is in a heated legal battle with his brother for division of the family assets. Bassam is amongst the richest people in Kuwait.